Shikamaru Nara and Temari. . Wallpaper and background images in the Naruto Couples ♥ club tagged: photo naruto couple pairing love shikamaru nara temari shadows shinobi. 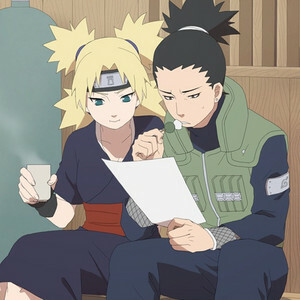 This Naruto Couples ♥ photo contains anime, bande dessinée, manga, and dessin animé.